Ed Edmonds was appointed by Dean Patricia A. O’Hara in 2006 as Associate Dean for Library and Information Technology and Professor of Law. He retired in December 2016. Dean Edmonds was the sixth law library director and was delighted to return to his alma mater. He graduated in the class of 1973 with an A.B. in History. He graduated with an M.L.S. from the University of Maryland and a J.D. from the University of Toledo. He served as the law library director at the Marshall-Wythe School of Law at the College of William & Mary, the Loyola University New Orleans School of Law, and the Schoenecker Law Library at the University of St. Thomas School of Law in Minneapolis, Minnesota. Dean Edmonds teaches Advanced Legal Research and Sports Law Seminar, and he has previously taught antitrust law, criminal law, and entertainment law. 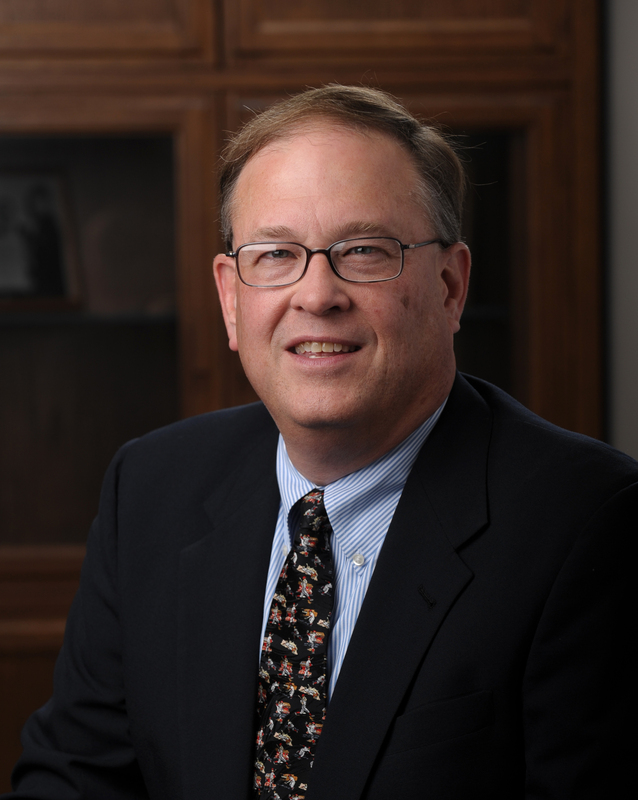 Dean Edmonds has been an active participant in professional law library associations. He served as the president of the Southeastern Chapter of the American Association of Law Libraries (SEAALL) and the New Orleans Association of Law Librarians (NOALL). He is also active in the Association of American Law Schools and has served as the chair of both the Section on Law Libraries and the Section on Sports and the Law. Professor Edmonds primary scholarly interests involves antitrust and labor issues involving baseball. In particular, he has written and spoken about the trilogy of United States Supreme Court cases (Federal Baseball v. National League, Toolson v. New York Yankees, and Flood v. Kuhn) that created baseball antitrust exemption. He is the co-editor of the Hein’s Sports Law Legislative History Series and is currently conducting extensive research on baseball salary arbitration. In recent years, Dean Edmonds has been a regular speaker at the annual Cooperstown Symposium on Baseball and American Culture and the Annual Spring Training Conference on the Historical and Sociological Impact of Baseball sponsored by Nine: A Journal of Baseball History and Culture. Edmonds' is one of five Notre Dame law librarians interviewed for the Oral History of Law Librarianship.